Collaborate with product managers, product owners, architects, designers and other engineers to uncover pain points and opportunities to deliver new business value through software. Prototype and build new functionality to deliver on key product objectives. Design, develop, test, deliver, maintain & improve business applications; apply creative problem solving to bring designs to life using cutting edge technologies & techniques. Maintain and support these services, with accountability for production reliability and usage, and the delivery of new functionality. Participate in ideation and brainstorming sessions to devise creative and disruptive digital solutions. Apply and promote Agile principles and methodology, following various engineering practices and approaches. An entrepreneurial spirit and comfort working within a rapidly changing startup environment – you will love the challenge of working on a small team and being part of a larger movement to change the engineering culture of an Insurance & Financial Services giant. Familiarity with Agile and DevOps principles, test-driven development, pair programming, continuous integration, and other approaches to accelerate the delivery of new features. Learn via Pluralsight technical platform, webinars, conferences, on-site training, incubators and self-exploration and experimentation about various techniques and technologies. Experimenting with emerging technologies and understanding how they will impact what comes next. A capacity for constant learning from both success and failure, remaining open to change and continuous improvement. Excellent organizational and problem-solving abilities that enable you to manage through creative abrasion. Strong verbal and written communication with the ability to effectively articulate technical vision, possibilities, and outcomes across all levels in the organization. Understanding of the fundamentals of capital markets or financial services in support of our service or product offerings (or are ready to learn by doing!). Ability to engineer an IT wrapper (i.e. framework) that could connect various technologies specifically OCR/ICR, (Optical Character Recognition/Image Character Recognition), NLP (Natural Language Processing) and Machine Learning, through API calls. 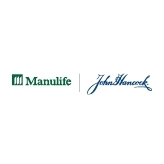 Want to get notified about new jobs at Manulife / John Hancock?